A collaboration between Capital Public Radio, KQED, KPCC and KPBS to cover the 2016 elections in California. California Teachers Association President Eric Heins launches the campaign for a voter initiative that would extend the income tax increases on the rich at a news conference on Wednesday May 11, 2016, at California Middle School in Sacramento. Californians will likely decide this fall whether to extend the Proposition 30 income tax increases on the rich that voters approved in 2012. A coalition of interest groups said Wednesday it’s turning in enough voter signatures to place a measure on the November ballot. The initiative’s backers include unions, school groups, doctors and hospitals – all of whom say their programs would suffer if the tax increases expire as scheduled in 2019. “We know that there’ll be another downturn in the economy at some point, and we want to be ready for that,” says California Teachers Association President Eric Heins. Business and taxpayer groups are expected to oppose the measure. He adds that Prop 30 was sold to voters as a temporary tax increase – and the proposed 12-year extension isn’t temporary. The measure would bring in up to $11 billion a year for schools and health care programs, such as Medi-Cal. Prop 30 also included a quarter-cent sales tax increase, but the proposed initiative would allow the sales tax hike to expire as scheduled at the end of this year. The Prop 30 income tax increases apply to individual Californians who earn more than $250,000 a year; families earning above $500,000 a year; and heads of household earning more than $340,000 a year. Unless those increases are extended, they would expire at the end of 2018. CapRadio's coverage of the 2016 elections. 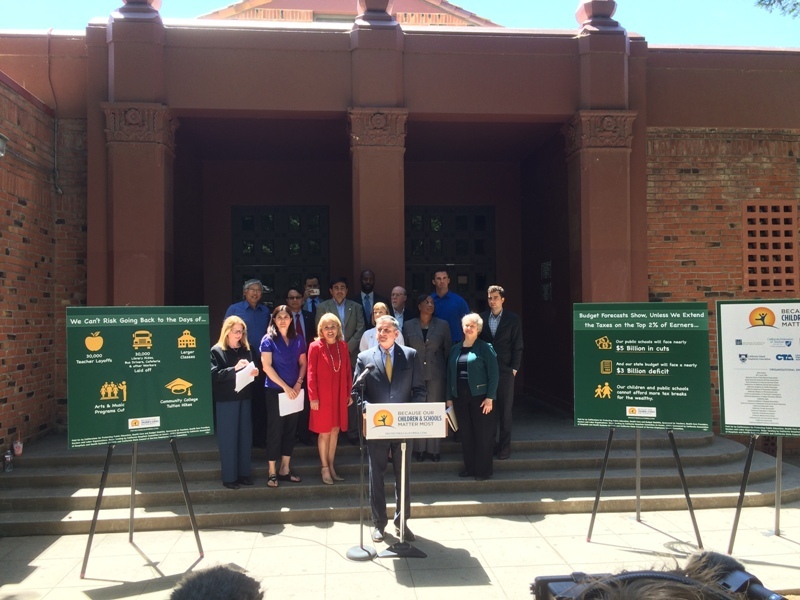 Complete coverage of California's budgeting process for the year 2016-2017 -- from Gov. Jerry Brown's initial and revised proposals, to expert analysis and lawmaker reactions, to debate, revisions and eventual passage.